With the mind-blowing cultural treasures of Kyoto next door and Tokyo wheelin’ and dealin’ a few bays over, Osaka takes the back seat on many-a Japan itinerary. Not a good idea. Not good at all. Despite what you might hear elsewhere, there are plenty of reasons to visit Osaka—from delighting in cherry blossoms at Osaka Castle to chowing down on Japan’s best okonomiyaki in Dotonbori. Even if you only manage to fit in one day in Osaka, I guarantee you’ll leave Japan’s second biggest city with every sense satisfied. Ready to tackle the second biggest city in Japan? 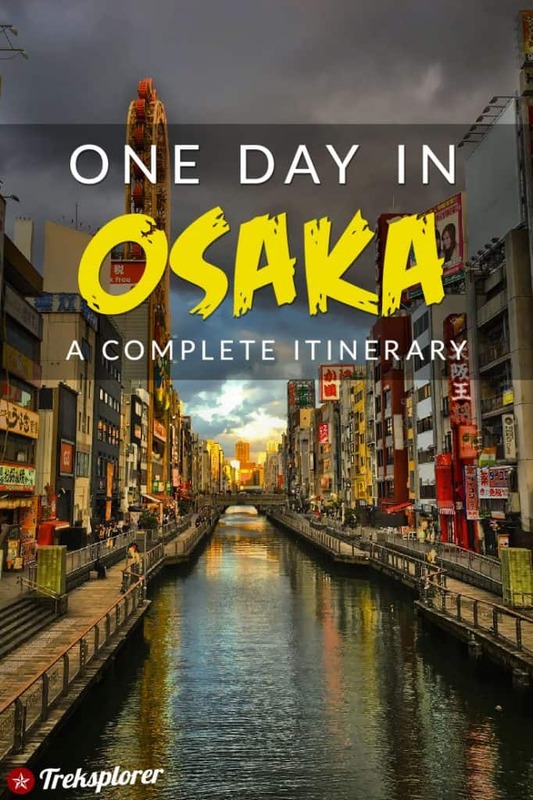 Here’s a complete itinerary for what to do in Osaka in one day..
Like most of the one-day itineraries here, I’ve tried to minimize backtracking as much as possible. Much of it is modelled upon the best walking tours in Osaka, sweeping through some of the top Osaka attractions in the city centre rather than zipping around on public transportation. I’ll admit: This Osaka itinerary might rush a tad for some travellers. You’ll thank me later though, as it paints as well-rounded view of the city in just one day that’ll keep you interested throughout. Lace up your walking shoes; you’ve got a busy day ahead in Osaka! Preparing for your Osaka itinerary? Don’t forget to protect yourself with travel insurance! 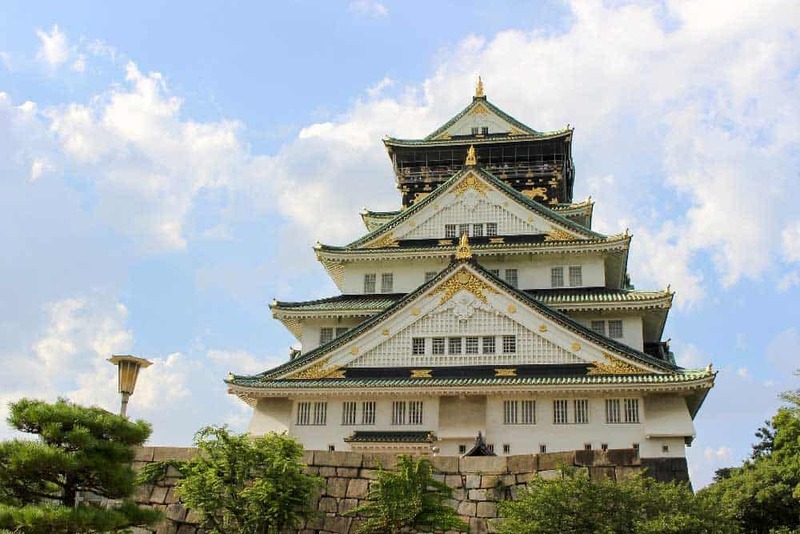 Depending on how early you drag your jet-lagged body out of bed, there’s no better place to start exploring Osaka than at its most famous attraction: Osaka Castle. Fortunately, you won’t need to battle your morning blues too early. Osaka Castle doesn’t open until 9am, but I’d suggest heading over to a little earlier to wander a little around Osaka Castle Park before checking out the castle itself. The park stretches over two square kilometres, criss-crossed by walking paths that shuttle you between gardens & all the facilities of the castle. If you’re lucky enough to plan your visit in spring, perhaps the best time to visit Osaka, the true stars of Osaka Castle Park come to shine. This is undoubtedly one of best places to see cherry blossoms in Osaka. (Don’t be surprised when what seems like the entire city of Osaka has the same idea!) The park also hosts a plum orchard with over 1,200 trees and a peach grove. While you’re there, be sure to check out the park’s Nishinomaru Garden (opens at 9am, closed Mondays; ¥200). Of all the cherry blossom viewing spots in Osaka, this garden, decked out with about 600 cherry trees, is among the finest. During sakura, you may even want to return here in the evening for a festive cherry blossom viewing party with some new Osakan friends! Oh, yes. Let’s not forget about the actual castle! One of the most recognizable landmarks in Japan, Osaka Castle started its history in 1583 under legendary warrior Toyotomi Hideyoshi. The original castle is, of course, long gone. What you’ll see here today hails from intra-war period. A renovation in 1997 spruced up Osaka Castle into the fine specimen you see today. Inside the distinctive feudal castle tower is an eight-floor museum depicting the castle’s storied history. Even if the artefacts and models inside don’t interest you, scale up to the top floor of Osaka Castle for stunning views over the city’s modern core. 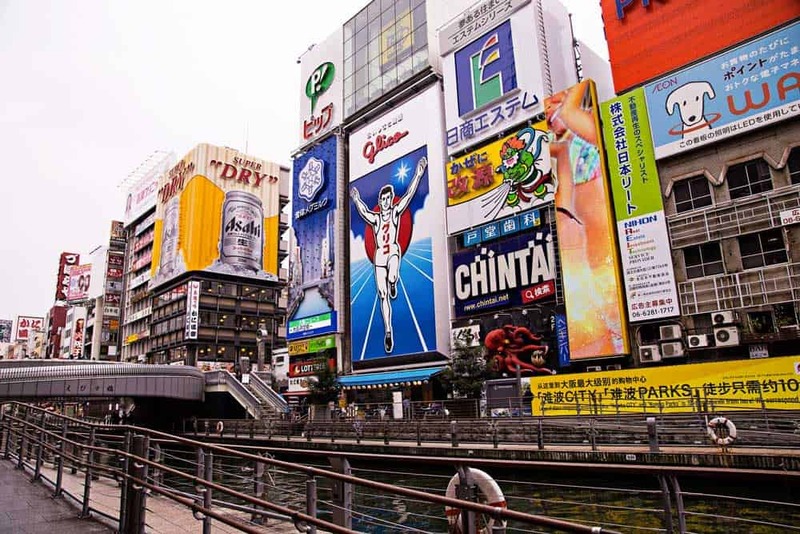 Osaka Walking Tour: A fantastic full-day tour of Osaka that includes a visit to top sites like the Umeda Sky Building & Osaka Castle followed by a relaxing one-hour river cruise. Osaka Book a Local Friend: A unique tour concept where you’re paired with a local who’ll take you around to tourist sites of your choosing including Osaka Castle. It’s an superb way to get to know Osaka’s most popular sites and lesser-known ones. Ninja Walking Plan Near Osaka Castle: If you’re looking to get some seriously weird photo ops around Osaka Castle (this is Japan after all! ), rent a ninja costume to slink around the grounds. Osaka Castle kimono rentals are also available here. Osaka Afternoon Walking Tour: A half-day walking tour focusing on the sites in Umeda and along the river including Osaka Castle. Also includes a 1-hour Aqua Liner boat cruise around Nakanoshima. From Osaka Castle is about a 20-minute walk to Temmabashi or Tanimachiyonchome Station. Save yourself 45+ minutes of walking by hopping on a subway due south to Shitennōji-mae Yūhigaoka Station. From here, it’s a short 10-minute walk to the next stop on your Osaka itinerary, Shitennō-ji, the most important Buddhist site in the city. With renovations slated to finish in March 2018, there’s hardly a better time to slip into Shitenno-ji than now. Although it’s one of Japan’s oldest temples, several fires have gutted the temple’s main buildings since their original 593 founding. Each repair, however, left Shitennō-ji still lookin’ much like it’s dapper ol’ self. Not bad for a 1400-year-old! Besides the garden, history and culture buffs will want to carve out some time for Shitenno-ji’s Treasure House (¥500). The museum houses several ancient Buddhist artifacts including many officially listed Japanese National Treasures. Osaka Hop-On Hop-Off Sightseeing Bus & Boat Ticket: Make your way around Osaka like a champ with this convenient hop-on hop-off bus tour that stops at 14 different locations around the city including Shitenno-ji. Also includes a metro pass & sightseeing boat cruise ticket. 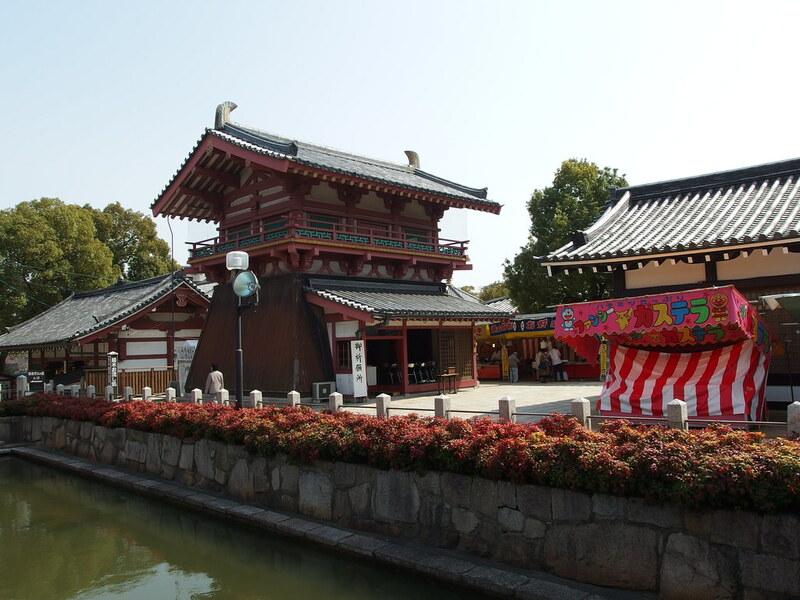 Osaka Shrine & Temple Tour: Explore the best of Osaka’s shrines & temples on this relaxing 5-hour tour. 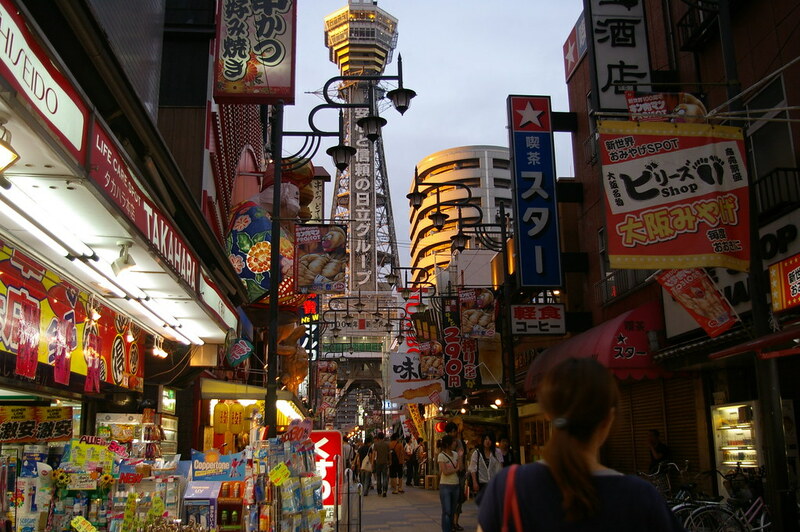 Ends with a visit to Tsutenkaku Tower in Shinsekai to check out Osaka from above. Osaka Temples, Gardens and Kofun Tombs Tour: Hop abroad a luxury vehicle for a private 7-hour tour of Osaka’s most famous shrines, temples & gardens including Shitenno-ji, Sumiyosh Taisha, and Daisen Park. Saunter on west of Shitenno-ji where the wacky world of Shinsekai awaits just 15 minutes away by foot. Osaka’s “New World” is a early-20th century concoction, built to celebrate an optimistic vision of the future. In the years surrounding World War I, Shinsekai soared. Crowds from all over Japan swung by to see the area’s futurism in action. It wasn’t long though before the act grew old, and the area languished. The destruction of its centrepiece, Tsutenkaku Tower, during World War II in 1943 seemed to all but seal Shinsekai’s fate. Fortunately, that too was short lived. Seeing an opportunity to lift Osakans’ spirits from their postwar blues, the city decided to rebuild Tsutenkaku Tower, surging new life into Shinsekai as restaurants, bars, and cinemas sprouted up around it. Even if the post-WWII reconstruction lacks the original’s grandiose ambitions, Shinsekai remains one of Osaka’s weirdest places to wander around. The colourful over-the-top signage, caught in a bygone era, is overwhelming even by Japanese standards. Sure, it’s kitschy, feeling more like an over-caffeinated amusement park than a real city district, but it’s not something you’ll want to miss while visiting Osaka. 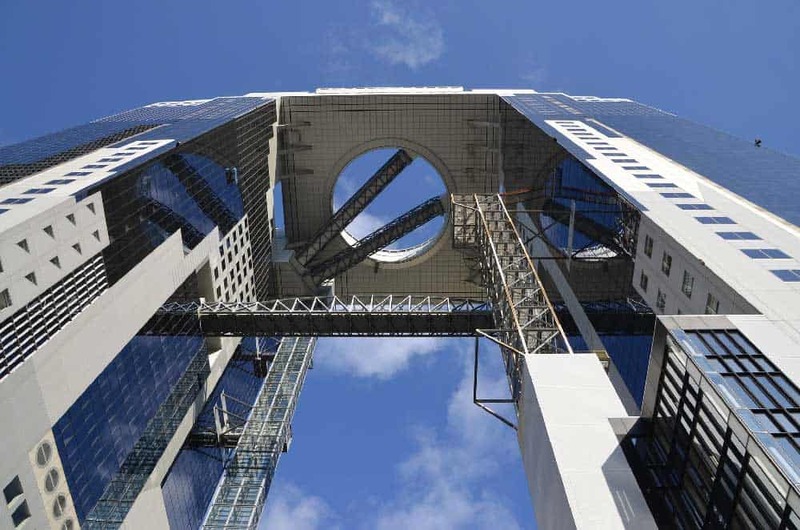 If you love heights, one of the top things on your Shinsekai agenda should be scaling up to the 91-metre-high open-air observatory at Tsutenkaku Tower. While there are definitely bigger views elsewhere in the city (like at the Umeda Sky Building), the view from here throws down a unique perspective on the city. Besides simply letting your senses overload, Shinsekai is also a popular place to grab a bite to eat. Most of the restaurants in Shinsekai deal in traditional Kansai favourites like takoyaki (fried octopus balls), kushi-katsu (deep-fried skewers), and okonomiyaki (Japanese savoury pancakes). Osaka Soul of Kansai Tour: Explore Osaka as its meant to be—through the tastebuds—on this awesome 3.5-hour food tour as you sample Osakan favourites like takoyaki and kushikatsu in places like Dotonbori, Kuromon Market, and, of course, Shinsekai. Retro Osaka Street Food Tour in Shinsekai: Bring your tastebuds on a tour back through time as you eat your way through the nostalgia of Shinsekai. Try 6 different retro foods as your tour guide enlightens the evening with lesser-known stories about the area’s unique culinary & cultural history. Osaka Go-Kart Rental: If the weirdness of Shinsekai reminds you of a Mario Kart level, you’re in luck! Fly through the streets of Osaka as one of your favourite characters by renting a go-kart. This is quite possibly the quirkiest and most exhilarating way to check out the city! From Shinsekai, it’s a (relatively) pleasant 30-minute walk through the heart of Namba to Shinsaibashi, Osaka’s top shopping destination. Even if you’re not the type who gets jazzed up about fashion boutiques, there’s plenty to keep you busy in this bustling neighbourhood. Much of the buzz centres around Shinsaibashi-suji Shopping Street, a shopping arcade stretching almost 600 metres north-south between Dotonbori and Nagahori-dori, one block east of the main drag of Mido-suji. There’s about 180 stores within the arcade and its offspring alleyways alone—from high-end fashion brands to small independent restaurants & teashops. If you forgot anything on your Japan packing list, Shinsaibashi is where you’ll find it! 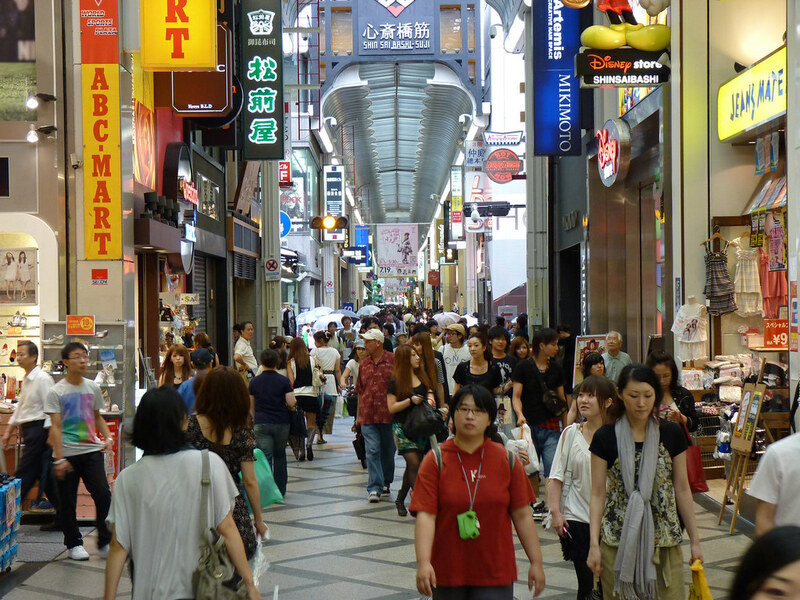 Once you’ve battled the crowds at Shinsaibashi-suji Shopping Street (and with an average of 60,000 visitors per weekday and double on weekends, that’s no exaggeration! ), head west, crossing over Mido-suji to America-mura (American Village). Spinning around Sankaku Koen Park, America-mura is one of Osaka’s most vibrant areas, famous for its forward-facing youth culture. 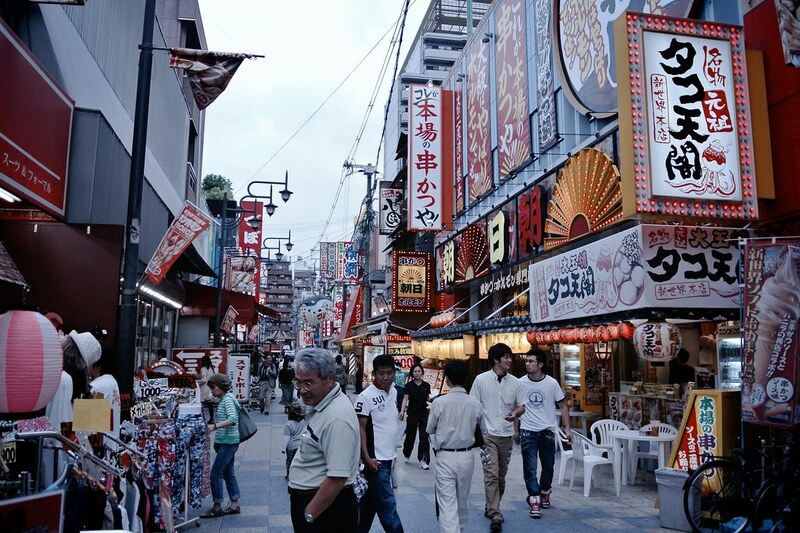 The neighbourhood’s history dig backs to the 1970s when savvy young entrepreneurs began to swap out the district’s warehouses & lumber yards for retail shops that brought all the snazziest Western fashion & cultural trends of the times to the streets of Osaka. Although it’s fallen out of style with the upscale fashion-forward crowd, America-mura is still a cool place to hang out in and explore. It’s especially colourful on the weekends when street performances, fashion shows, and flea markets pop up. Osaka Backstreet Night Tour: Head into the backstreets of Namba, Shinsaibashi and America-mura for a delightful 3-hour tour where you’ll cozy up in traditional Japanese izakaya as you eat specialities like yakitori and takoyaki, and drink alongside locals. End off the night with a fun-filled visit to a karaoke bar. Shinsaibashi Local Foodie Adventure: Explore the backstreets of Namba & Shinsaibashi on this small-group 3-hour eating & drinking tour. 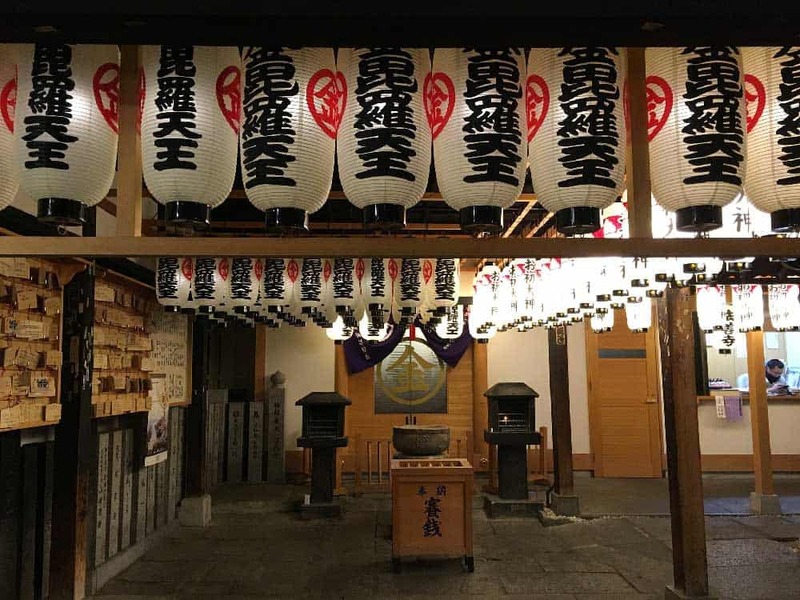 Visit lesser-known tachinomi (standing bars) while you learn more about the Osakan drinking culture as you brush up with locals. Osaka Book a Friend Tour: Find a shopping pal for the boutiques of Shinsaibashi with this unique flexible & fully-customizable tour where you’ll get paired alongside a bonafide Osaka local with similar tastes & interests. All that shopping and exploring is bound to strike up an appetite, no? Tackle it full force by heading south to Dotonbori, Osaka’s most famous entertainment district lining the Dotonbori-gawa Canal. Once famed for hosting the city’s most popular theatrical venues and geisha, Dotonbori’s reinvented itself as of late as the city’s top gastronomical destination—even one of the best in all of Japan! Kushikatsu Daruma (1-6-4 Dotonbori, Chuo-ku, Osaka): Serving up delicious kushi-katsu (deep-fried meat & vegetable skewers) since 1929. Mizuno (1-4-15 Dotonbori, Chuo-ku, Osaka): Famous family-owned okonomiyaki joint in the heart of Dotonbori. Kani Douraku (1-1-3 Dotombori, Chuo-ku, Osaka): The most popular crab restaurant in Osaka whose giant moving crab sign is almost as famous as their food. Kukuru (1-10-5 Dotonbori, Chuo-ku, Osaka): The original stall of what’s often hailed as the best takoyaki (fried octopus balls) in Osaka. Osaka Bar Hopping Food Tour: Wash down Osaka street food delicacies like kushikatsu, takoyaki, and okonomiyaki with beer, sake or shochu on this ultimate 3-hour Namba eating & drinking tour. Includes stops at three different lesser-known izakaya. Namba Food and Walking Tour: See what the Osakan concept of kuidaore (eat ’til you drop) is all about on this complete 3-hour Namba walking food tour. Try a stunning variety of Kansai specialities like wagyu beef, takoyaki, sashimi & yakitori as you make your way from Kuromon Market to Dotonobori. Osaka Off-The-Beaten Track Walking Tour: Get under Osaka’s skin with this 4-hour tour combining both top tourist attractions and more off-beat destinations. The tour includes stops at Osaka Castle, Tennoji, Shinsekai, and Dotonbori. While you’re there, be sure to stop in at the laneway’s namesake, Hozen-ji Temple. After World War II, nothing remained of this 17th-century temple aside from a single statue that miraculously survived. The now moss-covered statue, depicting Buddhist spirit Fudo Myo-o, has become an important symbol for Osaka’s rebirth following its near total destruction during WWII. Osaka Bar Hopping Food Tour: Explore Namba including the age-old graces of Hozen-ji Yokocho on this mouth-watering 3-hour eating & drinking tour where you’ll indulge in Japanese izakaya favourites like sake, yakitori & takoyaki. Osaka Walking Tour: Get the low-down on the top sites of Osaka with this complete 3-hour walking tour. Highlights include Shinsekai, Dotonbori, and Hozen-ji Temple. Nailing down where to stay in Osaka isn’t always a cinch. Just as in other massive East Asian megalopolises like Tokyo, Seoul, or Shanghai, the options in Osaka are plentiful—perhaps at times too much so! 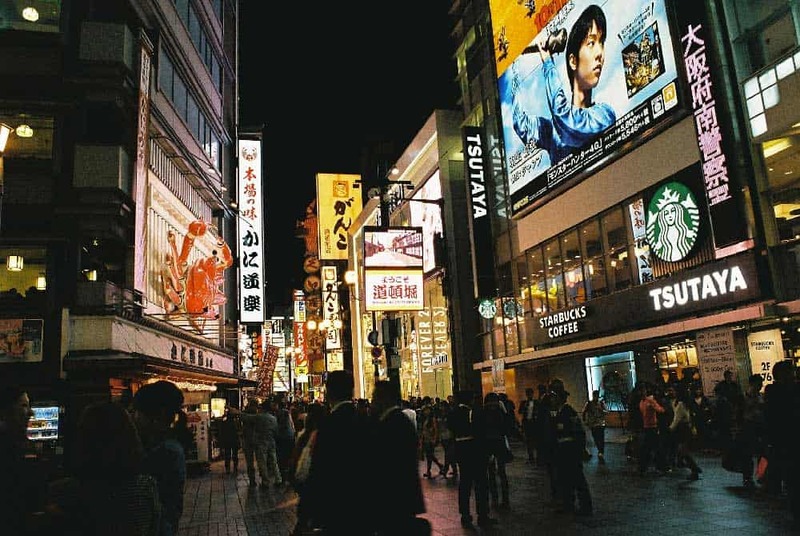 As a tourist, especially if you’ve only managed to carve out one day in Osaka, I’d recommend narrowing your Osaka accommodations search to one of the main districts in Chuo Ward, namely Namba, Dotonbori or Shinsaibashi. Red Roof Inn & Suites Osaka Namba Nipponbashi: A brand-new modern hotel that’s just minutes away from Namba and Dotonbori. Rooms are clean & pristine with a ton of style. Cross Hotel Osaka: A hip 4-star hotel located a mere block from Dotonbori and Shinsaibashi-suji Shopping Street. Rooms are bright and offer extras like deep soaker tubs and washlet toilets to up the value. Swissôtel Nankai Osaka: The best luxury hotel around Namba. Connected to Namba Station, this 5-star hotel is less than 10 minutes to Dotonbori and Shinsaibashi-suji by foot. Rooms are spacious, colourful & modern and feature incredible city views through large picture windows. Luxurious amenities like an indoor pool and spa further add to the appeal of this world-class hotel. 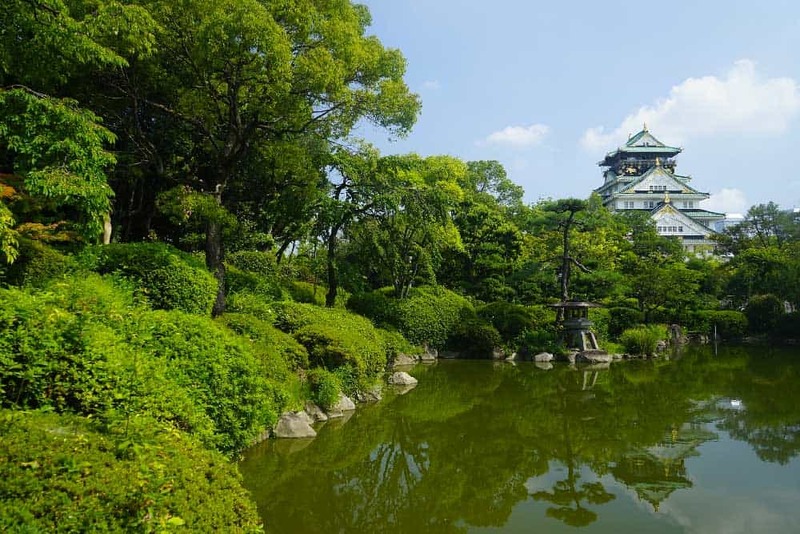 Osaka Full-Day Walking Tour: Get up-close-and-personal with some of Osaka’s top attractions on this full-day walking tour. Check out the city from (way!) above at the Umeda Sky Building before continuing, via Osaka Castle, on a 1-hour river cruise around Nakanoshima Island. 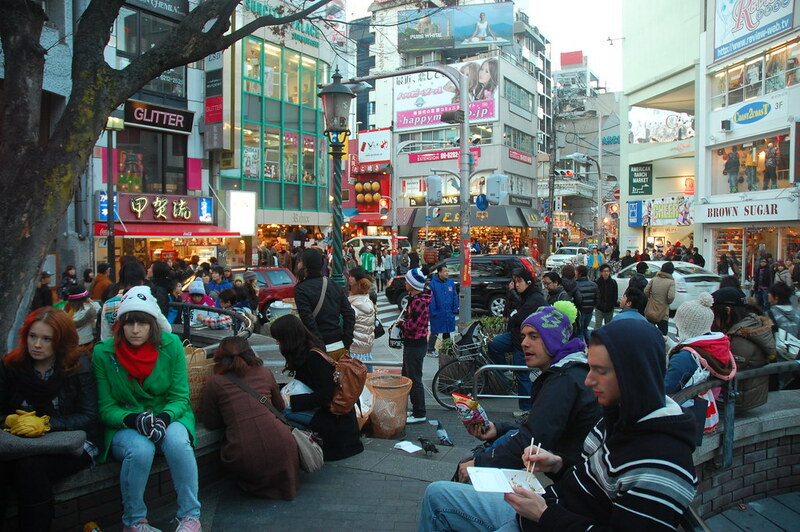 Osaka Walking Tour: Discover the best of Osaka by foot on this 3-hour walking tour. Highlights include strolling along the lively Dotonbori Canal and eating kushikatsu in the nostalgic neighbourhood of Shinsekai. Evening Food & Drink Tour in Osaka: Excite your tastebuds with the flavours of Osaka on this evening tour of two lesser-known areas, Tenma and Kyobashi. Sample dishes include kushikatsu (deep-fried skewered meat & veggies), dotenikomi (slow-cooked beef & miso stew), and tonpeiyaki (grilled pork & cabbage omelette). By air: Osaka is served by Kansai International Airport (KIX). Several international airlines fly into KIX including All Nippon Airways (ANA), Japan Airlines, and Jetstar Japan. Looking for cheap flights to Osaka? I’d recommend searching for airfare deals on Skyscanner or CheapOair. 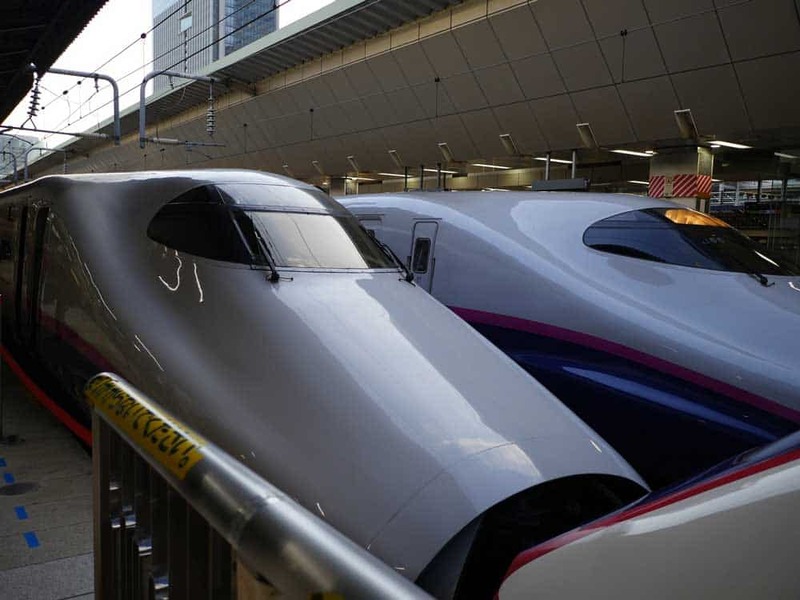 By train: Getting to Osaka from other major Japanese cities is a cinch with Japan Rail. If you’re planning on travelling from Tokyo or beyond, consider picking up a Japan Rail Pass (click here to see if it’s worth it). With little more than two shinkansen (bullet train) rides, you’ll be able to cover the cost of the pass! For sticking around Kansai—including travel between Kyoto, Nara, Kobe, Himeji—the budget-friendly 4-Day JR-West Kansai Rail Pass is an even better option for you. Love seeing Osaka from above? Grab a quick metro ride from Shinsaibashi Station to Umeda Station where the Umeda Sky Building, home to one of the best panoramas of Osaka, awaits just 10 minutes away by foot. Looking to delve deeper into Osaka’s spiritual side? Before jumping into Shinsekai, take a 15-minute ride along Hankai Tramway from Tennoji Station to Sumiyoshi Taisha, Osaka’s most important shrines and one of the oldest in Japan. Got a soft spot for the performing arts? Witnessing a unique Japanese puppet theatre performance at National Bunraku Theatre near Dotonbori is a must-see for all culture lovers. Kyoto: The cultural treasures of the formal imperial capital of Japan are less than 30 minutes from central Osaka. Get started planning your trip in one of the world’s must-see tourist destinations with this complete itinerary for one day in Kyoto. Tokyo: Few cities in the world will grab your attention and grip onto it like Japan’s mega-capital. Squeeze the most of your visit by starting with these suggestions for how to spend one day in Tokyo. Nara: Become enchanted by the cultural treasures and free-roaming deer (yes, deer!) among the streets of Japan’s first capital city, one of the best day trips from Osaka.